The first half of 2015 has been really encouraging. Our seven-year recovery continues and whatever “normal” is, we are close to it again in many ways. So far, the average sale price has increased by 6.2 percent over 2014’s first half and 7.2 percent over last year’s final average price. The market reached the 20 year average price increase for the first time since 2007. 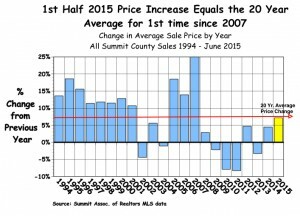 (That’s right, despite everything, Summit County values have averaged over 7% increase each year for the past 20 years). The average sale price is now $531,900, up $30,000 from last year to date. The average sold price per square foot, year to date, increased by over 15 percent to $302 psf. Despite a record low number of properties for sale, 24 percent more properties have closed so far this year than last year to date. 197 properties closed in June alone, nearly 19 percent above the fifteen-year average and 49 percent above last June. Properties are selling quickly averaging 9 percent fewer days on market and selling for one percent closer to asking price (95.7%) than last year to date. While the average price is usually higher in the first half of any year and probably won’t finish this year higher than right now, all of the other numbers will probably stay at these levels or better through December. 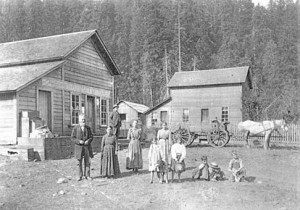 Summit County spent seven years in the economic wilderness. Developers who sat out the hard times are returning to build and custom homes are being built at a good clip. But speculative home building has not returned in any great measure and that keeps land in the basement, selling for an average 90.5 percent of list price and 423 days on market. Deleting the 8 sales of land that sold for a million or more, the average land sale runs to $263,000. Every other market sector though – condominiums, homes, townhomes – are doing better than in years. There are still only 3 years when average prices were higher than right now and in another year, the average price could be back to the record of 2008. That means, however, that about 5000 owners, the number of sales in 2007, 2008 and 2009, will just be breaking even. The effect of the bubble years will be felt for some time after prices recover to those levels. This means that supply will probably remain low for a few more years as the number of buyers increases to average and sellers wait for a little profit. 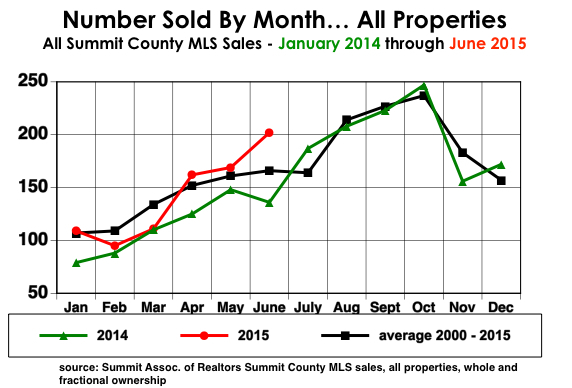 On the first of July there were only 1356 properties for sale in Summit County. Last year there were 1759 on that day, nearly 30 percent more. And the number of properties typically peaks in the first week of July then slowly declines through the rest of the year. Having 30 percent fewer properties for sale at the peak probably means a screamingly tight supply in late October. In this market, sellers don’t have to sell. They usually have good equity, or no loan at all, are still using the property and can rent it to cover costs. But eventually every one of them will come to a point when selling makes sense. 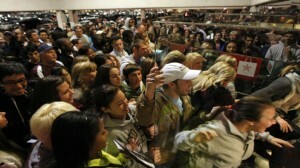 If a lot of them do that at the same time, prices will certainly be affected. That probably won’t happen this year. And hopefully there will still be enough buyers to soak up the inventory. Because in this market, buyers don’t have to buy, either. If they get transferred from Dallas to Denver, they have to buy and sell. But unlike the cities, this is a “feel good” purchase and people need to feel good about their finances before springing for a second home. Every time there’s economic trouble second homes are the first thing to feel it. 9/11, the second Iraq War, Y2K, the 1986 stock market crash, every one of these events brought our market to a standstill. But none were as devastating as the Lehman Brothers melt down and subsequent Depression we are just now leaving behind. But after every event, including this one, the market came back stronger. The key is to buy a second home to enjoy and keep for as long as it makes sense. Don’t buy on impulse and be aware of the special nature of the second home market. That means you should get some advice from someone who knows this market and has seen all this happen. Call me. I’ve been here for 30 years and I’ll be here when you need me. 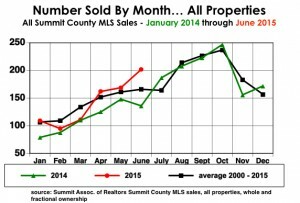 You can always tell when the good times are rolling in the Summit real estate market… new construction starts again. Just like in past upturns, new developments are being “launched”. That means you may be allowed to overpay for real estate, but only if you really hurry. Several new projects have been built and sold out in the past year or two. Next it’s going to be Maryland Creek Ranch where they say reservations will begin this year even before the legal objections about tripling the density are settled. So here’s a quick synopsis of things to be aware of when you are considering buying new construction. Who is the developer? Have they been here or are they just short timers attracted to a strong market? How are they marketing? Is there a high-pressure call to action: buy now or miss out on pre-construction pricing? Developers sometimes hire itinerant marketing companies who use time-share sales techniques to pressure buyers into buying quickly without too many pesky questions. Some of these marketers have been to Summit County before and were responsible for a lot of buyer grief (see River Run at Keystone). How long will build-out take? How many years will you have to deal with construction traffic and noise from 6 AM to 8 PM? There’s nothing like a gravel truck to drown out your TV or dinner conversation. Does the developer have the resources to finish the project successfully? If not, your neighbors may be vacant foundations until the next developer (or the other owners) steps in to finish. 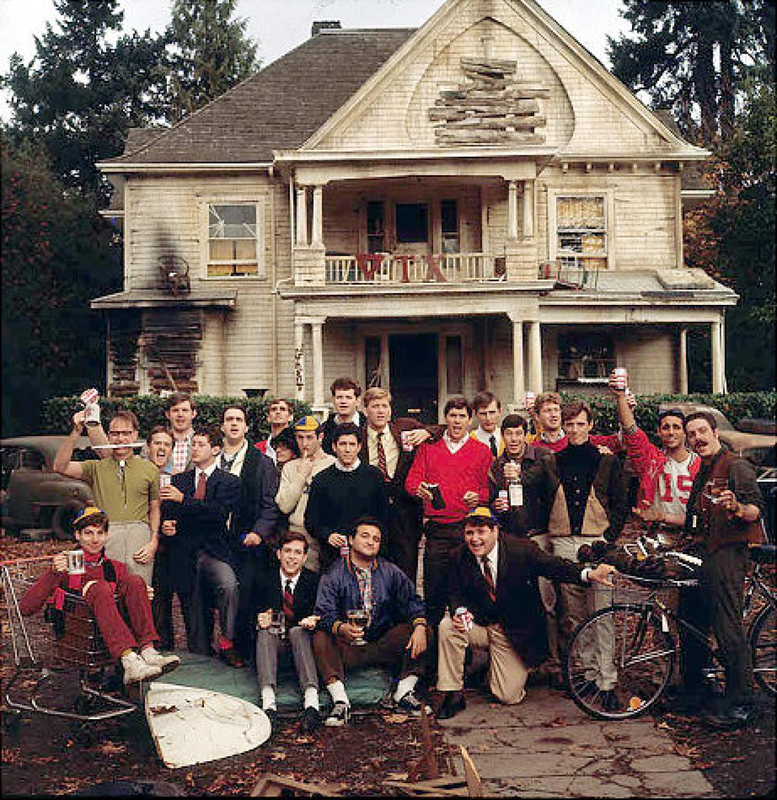 How long before the developer is no longer in charge of the homeowners association and turns it over to the owners? 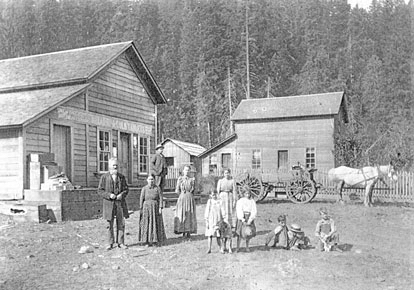 History in Summit County has shown that the smartest move for buyers is to avoid the “launch” hype and buy existing property near the new stuff. Time after time buyers who did this early on benefited from the increased price per square foot that new construction causes all properties to gain. 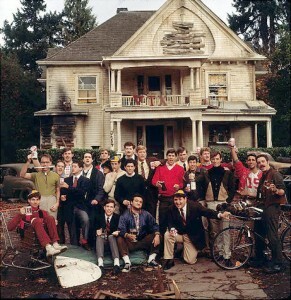 And further, existing property holds the increased value when the launch crew leaves town for the next carnival. Values for new construction have often declined for the first five years or so. Developers count on record high prices to justify building at all, so values for existing properties will not match those of new construction. But existing property values have usually increased dramatically when new construction came in at up to double the price per square foot of the older property (see Center Village at Copper and One Ski Hill Place). Those who don’t need the newest and most expensive property can make money from new development… by avoiding it and investing in previously owned properties. People are traveling a lot more right now and second homeowners are spending a lot more time here this year. Judging from the numerous new upscale grocery and liquor stores in Summit County, corporate analysts must think this new wanderlust will continue. And all of this despite continuous I 70 construction projects popping up at random and with no coordination. It’s a catch-up program to cure 20 years of neglected roads. Good news for professional flaggers, full employment for the next few years. Bad news for drivers, there will be times when they’ve dug up the road both ahead of and behind you. Local tip: always take extra food in the car. But there’s a cure for all this hubbub… take a hike. You can still find quiet and beautiful uninhabited places in Summit County if you just walk a mile or two. The Rumor Monger would tell you where, but then he’d have to… you know -find another place. Stand up paddling has taken Summit by storm… every day there are people who look like they’re walking on the water in every lake and some of the rivers, too. Both marinas and several sporting goods stores will rent or sell you a board. It’s an easy way to get out on the water and away from the crowds. Go early to avoid the afternoon wind and rain…. Or just jump in, the lake’s about the same temperature as the rain and just as wet. If you rent your property through VRBO, HomeAway or other do it yourself web sites, you need be aware of a recent trend. In many resort areas across the US, owners who rent their property themselves are being required to have a local manager to handle problems and complaints. The State of Hawaii, the City of Boulder, New York City and other areas have passed ordinances or restrictions to require a local contact for noise complaints, overcrowding, increased traffic or other problems with vacation rental properties. This is happening particularly in residential areas where permanent residents are dealing with increasing numbers of owner booked properties. Rental management companies support restrictions on owner booked rentals. They are regulated and licensed and have overhead costs that owners don’t have when booking their own properties. Local governments argue that they miss tax revenue from owners who rent their own properties without a business license or other disclosure. Governments also say that they have to spend resources responding to problems with owner booked rentals. The upshot is that more short-term rental regulation will come to Summit County sooner or later. It would be a good move to start looking for a local manager to satisfy the expected requirements. There are more and more local companies that work with owner booked rentals to monitor the guests, do the move-out cleaning and to handle complaints from both guests and neighbors. Get set now and avoid the rush! 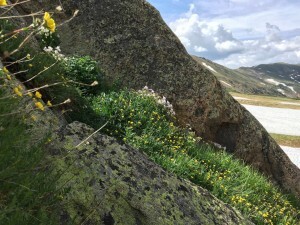 Summer in Summit County is HERE! It’s summer in Summit County again and everything is that beautiful green that we get only in the mountains. Wild flowers are popping up everywhere and the lake is completely full. A couple of very high mountain lakes still have ice and there are just enough snow patches to give the scenery some contrast. You can’t really choose one season that’s better than another here in Summit County, each one has its own attraction. For now, get yourself up here and enjoy summer.